LOS ANGELES, California – Although the current trend favours SUVs and crossovers of all kinds, Nissan is continuing to evolve its Versa Note subcompact with the launch of the 2017 edition, presented at the Los Angeles Auto Show. The new Versa Note now features the “V-Motion” grille that’s shared with many other of the brand’s models as well as halogen projector headlights. In addition, every trim level will include the rear bumper that was reserved exclusively for SR version. 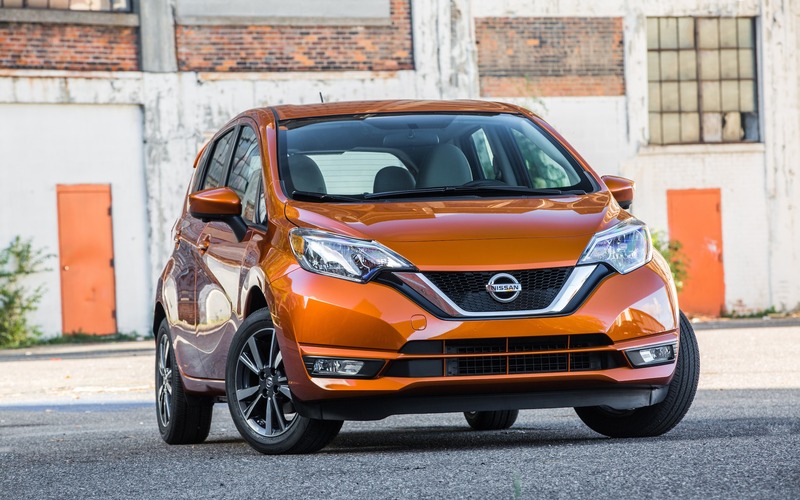 Moreover, three new colours are on offer and the 2017 Nissan Versa Note also adopts new alloy wheel designs on certain trims. We’re talking more of a refresh than a substantial redesign, as the rest of the car’s bodywork is largely unchanged compared to last year’s model. From a mechanical standpoint, the Versa Note keeps its 1.6-litre, four-cylinder engine that develops 109 horsepower, which it shares with the Micra. However, it gets a revised version of the continuously variable automatic transmission, called Xtronic, which adopts a new calibration in order to simulate the gear changes of a conventional automatic. A five-speed manual is still available. As for the CVT automatic, the manufacturer claims an EPA highway figure of 39 mpg, or 1 less than last year’s car due to new fuel economy test procedures used by the agency. Inside, the 2017 Nissan Versa Note offers standard heated front seats in SV and SR trims as well as larger-diameter cupholders. The USB port and the 12-volt socket have been relocated in front of the centre console, while a second 12-volt outlet has been added for rear passengers. Canadian pricing for the four trim levels of the 2017 Versa Note has not yet been announced.